I was inspired to paint salt water that was alive,, with the colors i know i have swam in, in the Caribbean.. This artwork is for a Book Cover i was asked to paint for a dear friend. 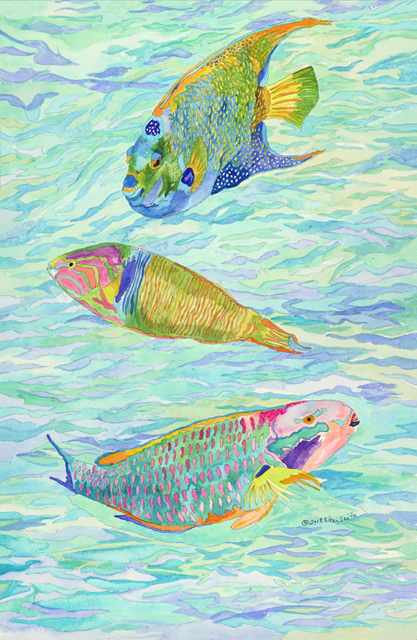 I was commissioned to paint these 3 fish in Living Waters for a new author.